The workshops aim at researching and experimenting productive activities and crafts of medieval times. 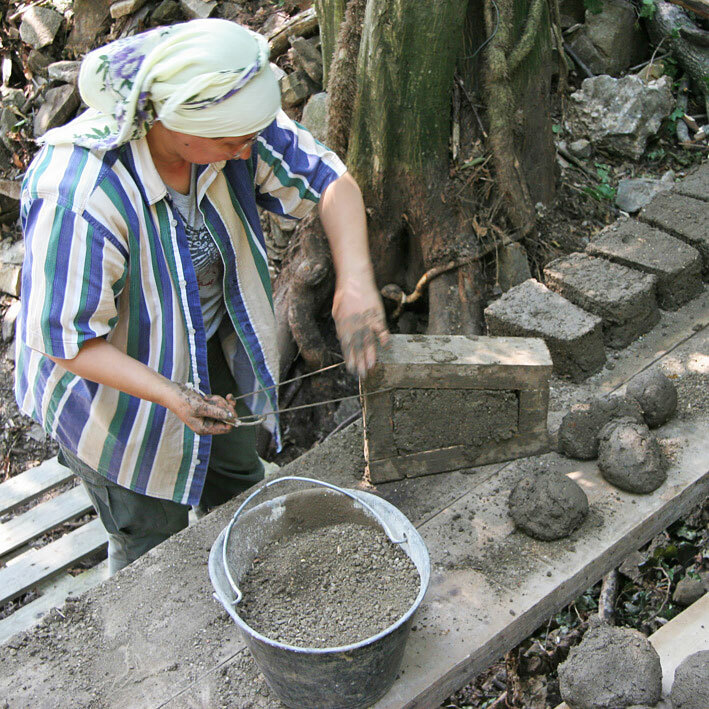 On this occasion we put into practice building and traditional crafts techniques using local materials, for the production of structural models, based on historical and archaeological remains. Archaeological evidence shows the existence of numerous wooden structures which complemented the various buildings and production spaces of Cucagna castle. The historic research on techniques and materials used in medieval times for the manufacture of wooden semi-permanent structures led us to analyse local traditions related to this type of construction, which are slowly disappearing. The wood weaving was widespread in medieval times for the realization of any type of object or semi-permanent structure, and is still present in the partition walls of many of the our rural traditional houses. The workshop analyses the traditional local techniques and materials of carpentry and weaving to reproduce prototypes of woven wooden structures. Professionals and students are involved in the workshop through an interdisciplinary and international collaboration between architects, archaeologists, artisans, anthropologists, botanists. A medieval pottery kiln was created by, using only materials extracted on the site, where traces of combustion facilities were found. The dried raw bricks necessary for the formation of the cylindrical body were produced in the site by hand by kneading the clay. 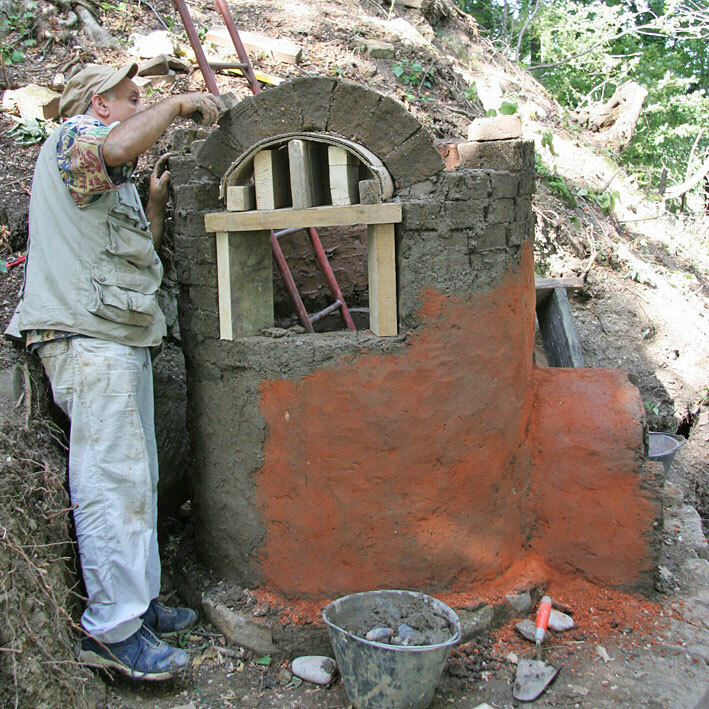 The kiln is composed of a fire chamber with a mouth to feed the fire from the outside. The room for the firing of ceramics, divided by a grid from the fire room, has an opening for the introduction of the ceramic pieces, all topped by a dome of mud bricks with a central hole for dumping of the fumes. The external face was plastered with a layer of clay to keep the internal heat. The course focuses on traditional stone carving and is directed by master stonemason and sculptor Dumitru Ion Serban. The teaching program includes the analysis of different stone materials, the processes of extraction, the traditional working tools and their maintenance, the management of the displacement of traditional weights and the processing techniques applied to the various architectural elements. Participants are taken through the whole process, from the extraction of the block in the ancient quarries of the medieval castle up to the positioning of the final architectural element, tailored using exclusively traditional technologies.